Did you know the average person only eats 50 different types of food their entire lifetime? The following recommendations apply to any meal situation whether you are in your home, at a fast food restaurant, fine dining or traveling. 1. 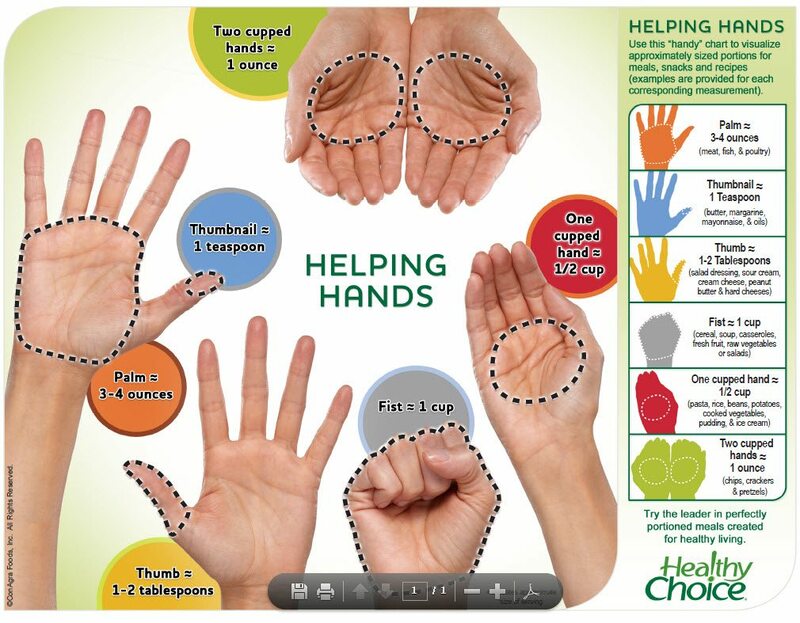 Use the Helping-Hand System for portion control if you have not received your recommended daily micronutrient intake. 2. Select 1 (one) of Protein foods per meal. Approximately one serving the size of the palm of your hand. 3. Select as many of the vegetable foods listed as you wish. Have at least the minimum serving, approximately 1 (one) hand-fist. 4. Eat high density high glycemic (HDHG) carbohydrates only following an intense exercise session if you are in phase 3 or 4 of your program.